Why We’re Wrong Wednesday is back this week with special guest Nerky Meg who’s here to tell us that we’re even wrong when we’re not husbands. My name is Nerky Meg, at least that’s what the internet calls me. I’m a divorcé, but I’m too young and awesome to be called that, so I’m sans dumb white (or, ya know, any color) husband because the wrong outweighed the right with my ex and I bailed. Or maybe it’s because I refer to myself as Nerky Meg. The point is, I’m taking over DWH today to talk about my ex-dumb-white-husband’s wrongness. Just kidding, I’m here to talk about the new levels of wrongness I’ve experienced as a single lass in this cold, cruel world. After all, dumb white husbands were once dumb white bachelors, amiright? If we set a date and time to do something, then we are doing something on that date at that time. Why is this difficult? Do I need to send you a calendar invite? Tie a string to your finger or something, f’real. I’ve got a life to live and I lent you a valuable segment of it, don’t be a dillhole. Then you text me like it’s no biggie that you bailed at the last minute for our “date”? Pfffffft. Blowing me off once is one too many times, brosef. You were wrong the moment you didn’t draw hearts on your calendar on our date day. (Just kidding, that would be way wronger. Just don’t disrespeck, mkay? Firstly, what are we even doing? You’re wrong for even letting me wonder. Is this the vague “hanging out”? Is this a date? Are you just tryna get wit dis? I just want to be on the same page so I know whether to wear my wifey-material-she-probably-has-a-cute-personality sundress or my she-might-have-chlamydia-but-I’ll-take-my-chances-because-damn leather shorts. You know us girls and our clothes, we take it seriously. Did we laugh a lot or just smile politely? Laugh: good. Smile: Bad. Not bad, just not a great sign of future dates. Was there any touching? It’s a good sign, aka dead giveaway, if I touch your arm at any point on the date, especially if it’s to feel your biceps. Did I make a Jesus joke? That’s a sign of comfort. Don’t nobody joke about JC with someone they’re on the fence about. It’s kind of like how little boys are mean to little girls they like, only with less pushing on the playground and more blasphemy. Let’s be adults and say whether we had a great time or if it wasn’t awesome and move forward accordingly. You don’t have to be a jerk or a clinger about it. Just be cool, man. Plus, texting is like a thousand times easier than the old days. We don’t even have to talk, just a quick, “Hey, had a great time but I’m not sure we’re a great fit.” text and you’re donezo. Basically, you’re wrong if you’re flaky. Be a man, grow a pair, and ask me out on a real date. I may not wear my leather shorts, but if you play your cards right you’ll see them eventually. Sans chlamydia. Did you likey? Read more! I write a Nerky Blog where nerdiness meets geekiness meets fitness. I have lost 70 pounds and kept it off for 2 years. I give realistic fitness tips (just the tip) and talk about lyfe as a nerky single parent. I’m on Facebook, Instagram, where my kid is cute and my gym selfies are on point, and Twitter. 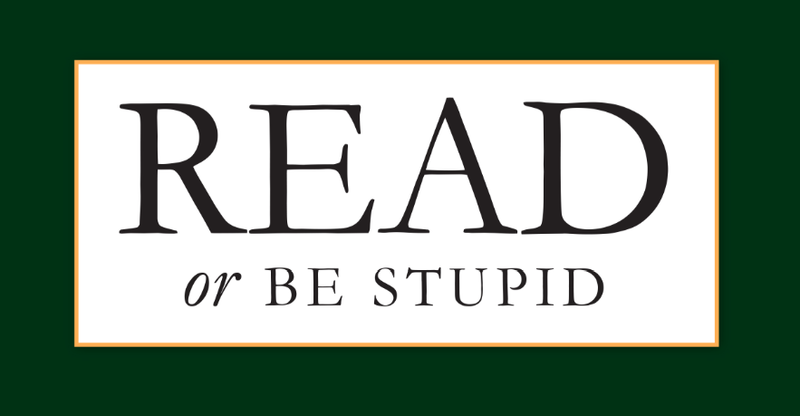 In an effort to make the world less dumb, we are now giving away free books. Check out this page and read, or be stupid.